Mod changes the flying speed of all arrows in Skyrim and reduces gravity that effect on arrows. I tested many mods that changes arrows behave in game but i couldn't find any useful for me. It changes the flying speed of all arrows in Skyrim and reduces gravity that effect on arrows. 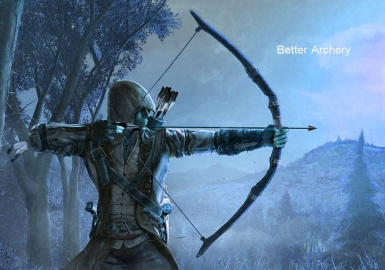 (Actor) line increases the max distance that arrows can fly. (Combat) line adjust crosshair to aim more correctly. Arrows gravity: -40% - Arrows have flatter flying trajectory. Bolts Speed: Default - Bolts are flying fast so i don't adjust them. Extract the plugin from the archive and place it in your Skyrim data folder and activate it using Skyrim Launcher. Remove the plugin from your Skyrim data folder.